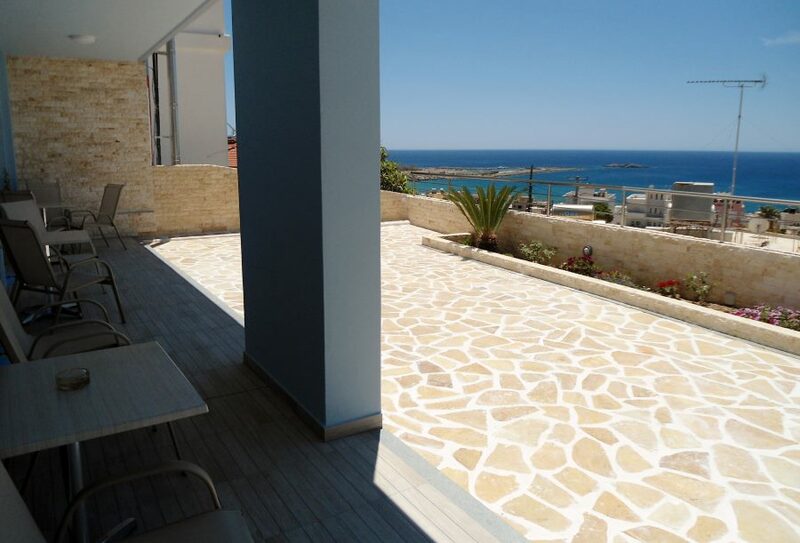 Petrakis Sunset in Paleochora, Chania is a family-run complex, about 70km from Chania town and 206km from Heraklion city. 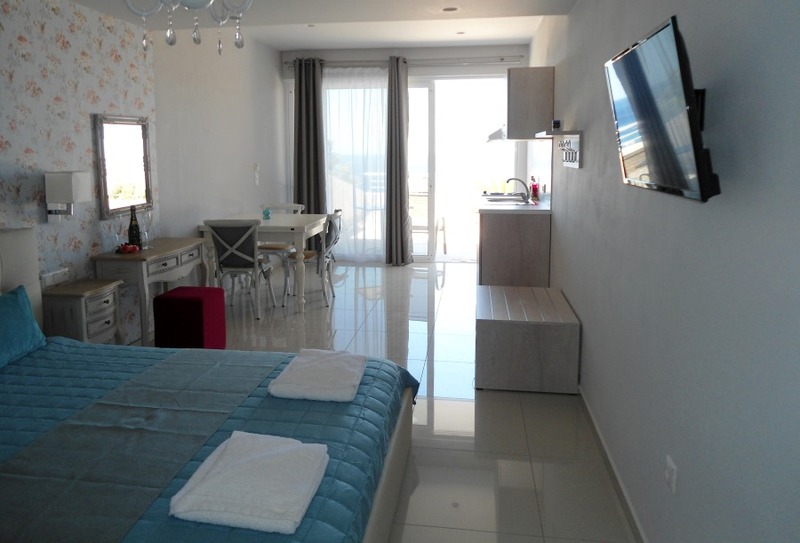 Petrakis Sunset in Paleochora, Chania is a new studio complex in Paleochora, south west Crete, 89km from the airport of Chania. 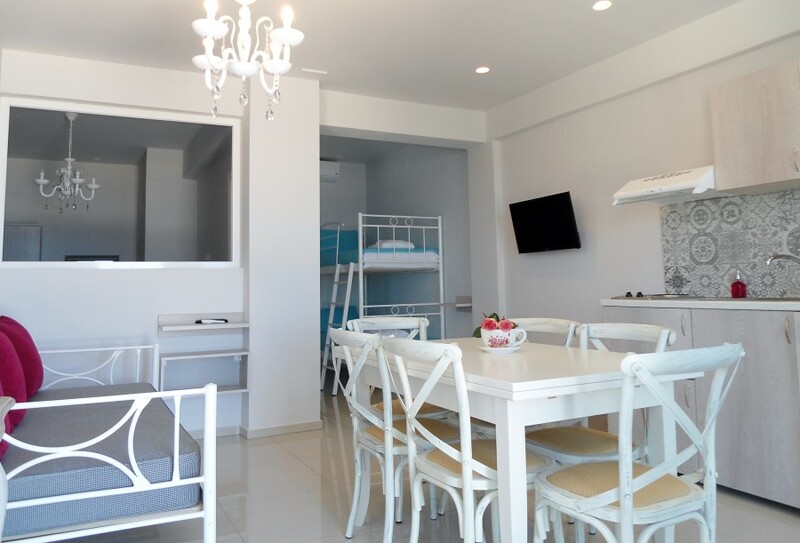 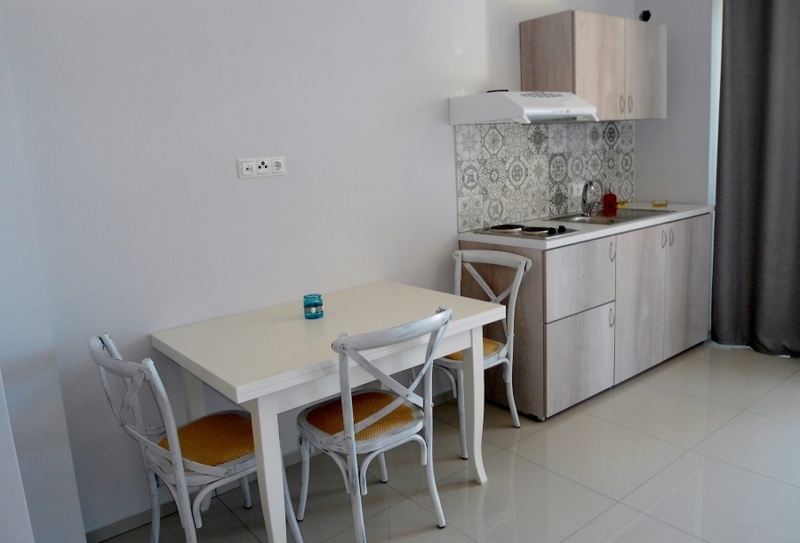 Petrakis Sunset consists of 4 fully-equipped studios, decorated in a romantic style and feature a sun terrace with lovely views of the sea and the surrounding mountains. 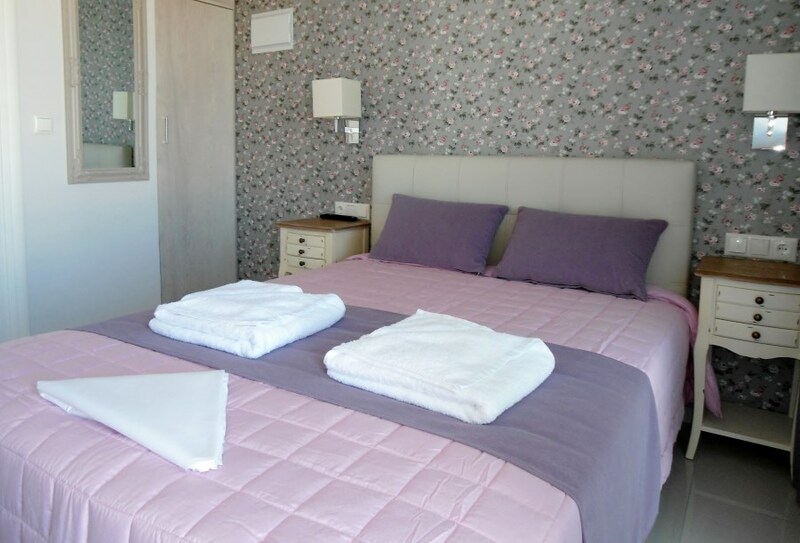 Petrakis Sunset is 8 minutes walk from the sandy Pachia Ammos beach, the main beach of Paleochora. 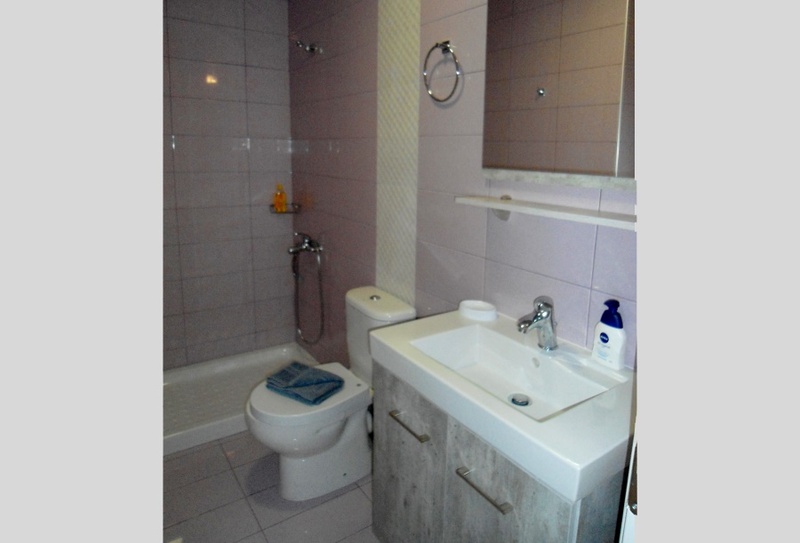 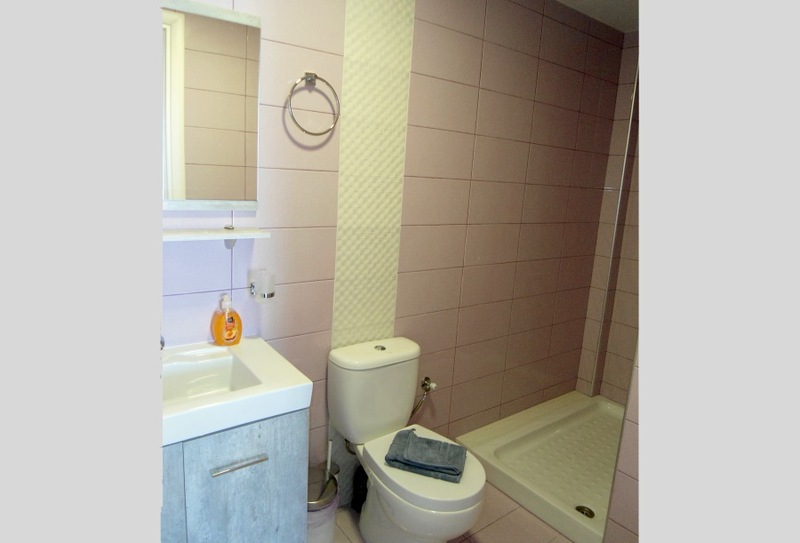 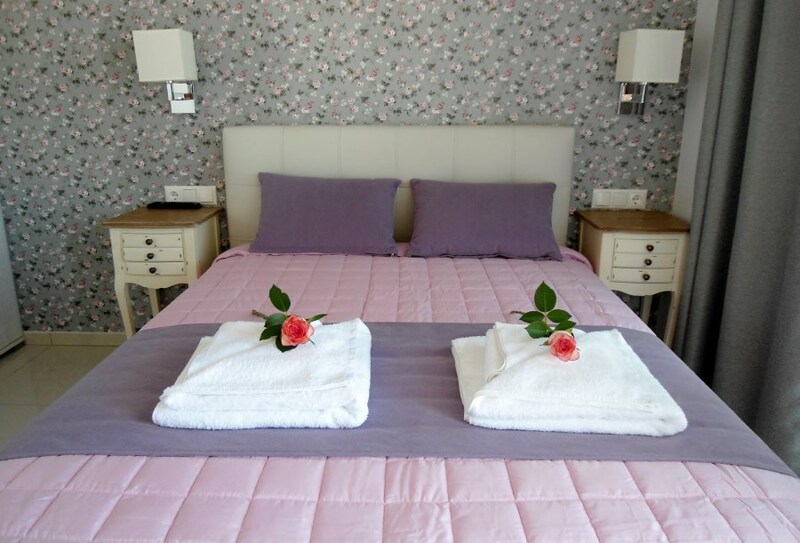 The Small Double Room is 15 m² and has 1 double bed. 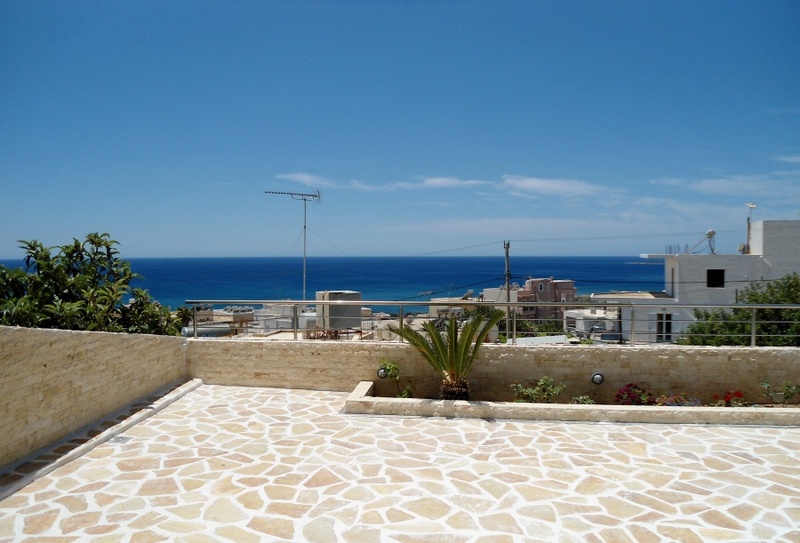 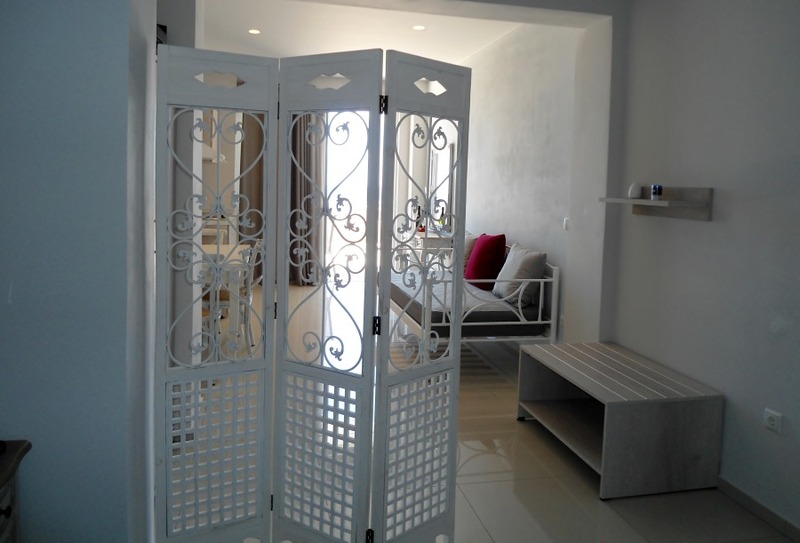 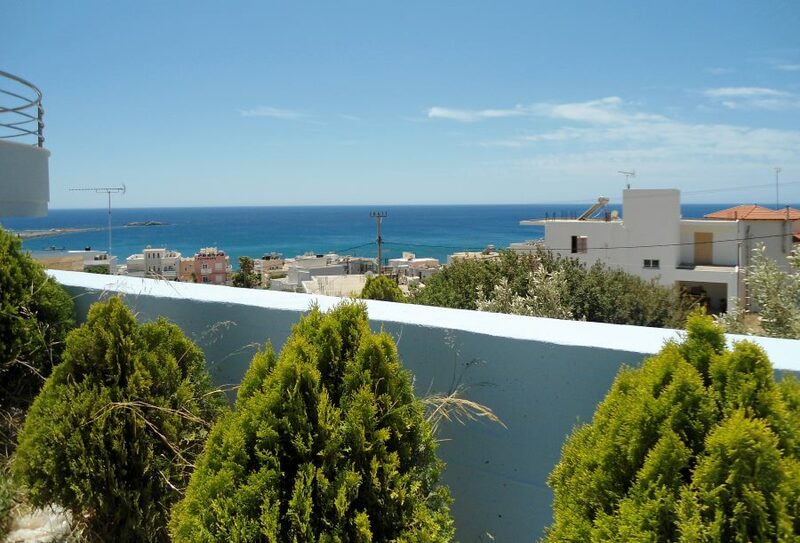 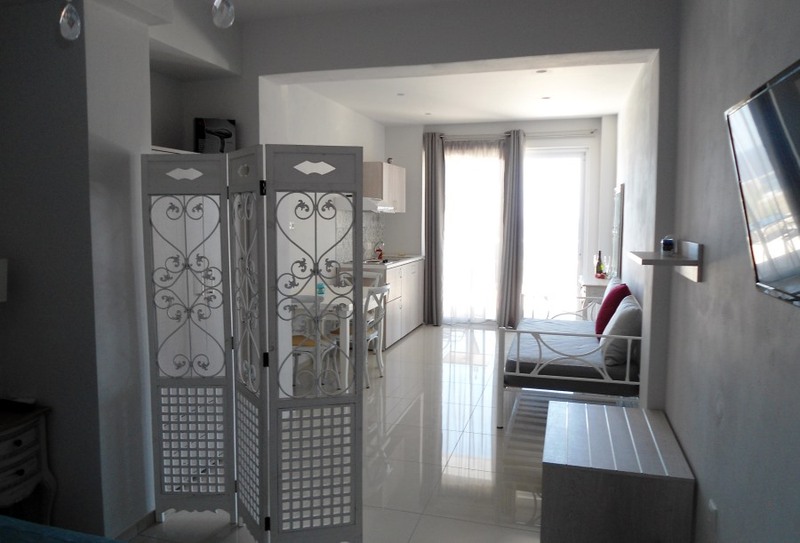 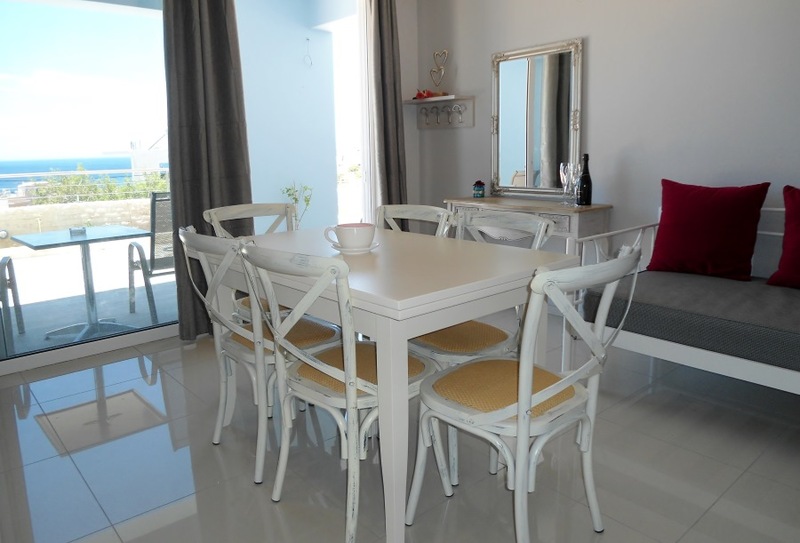 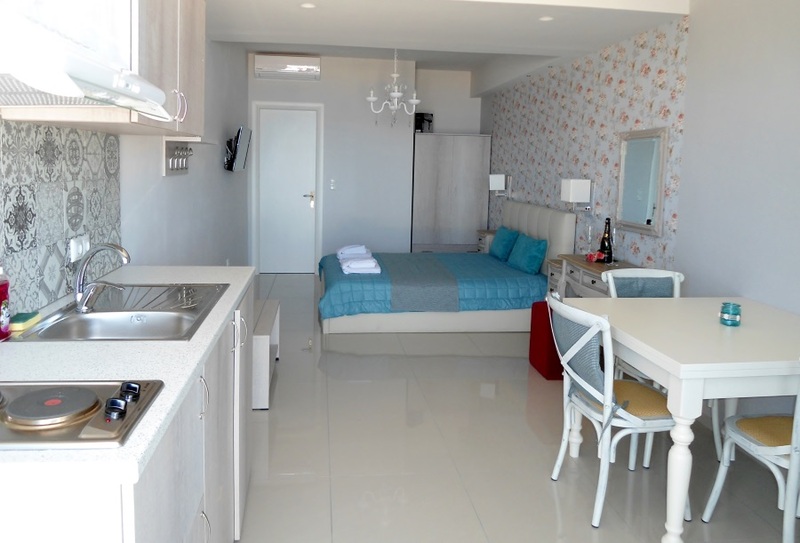 The Double Room with Sea View is 35 m² and has 1 large double bed. 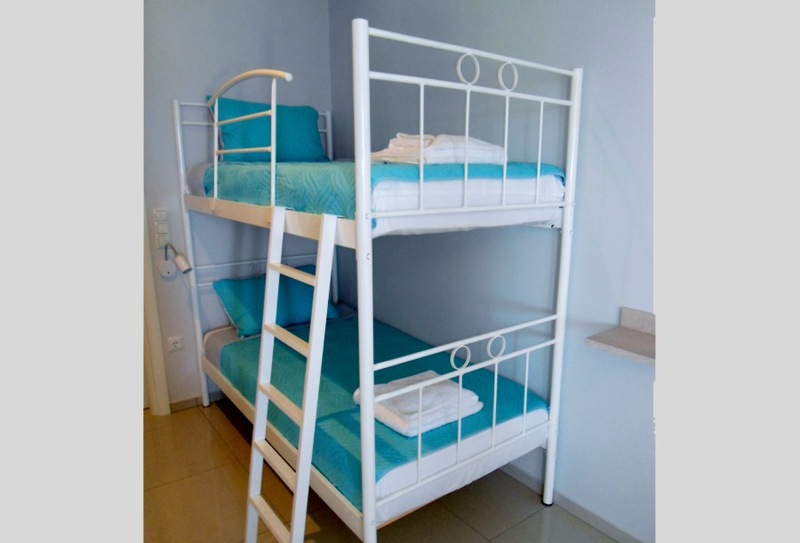 The Family Room with Sea View is 46 m² and has 1 large double bed, 1 single bed and 1 bunk bed. 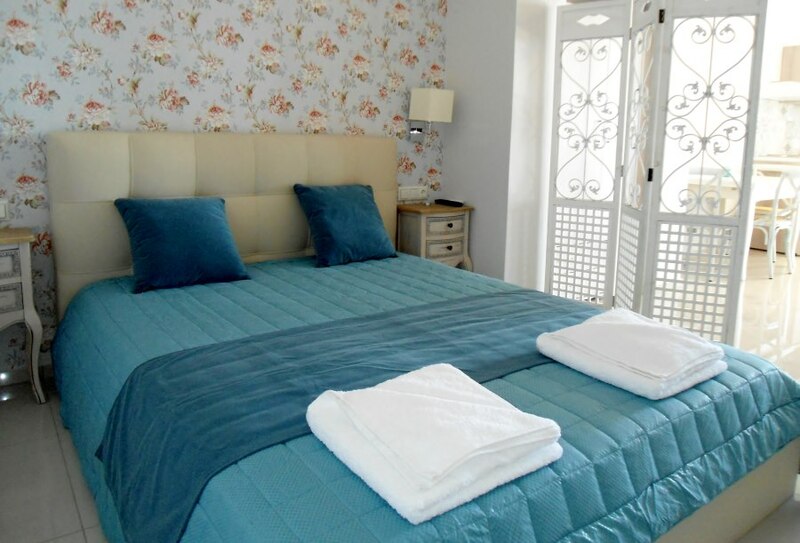 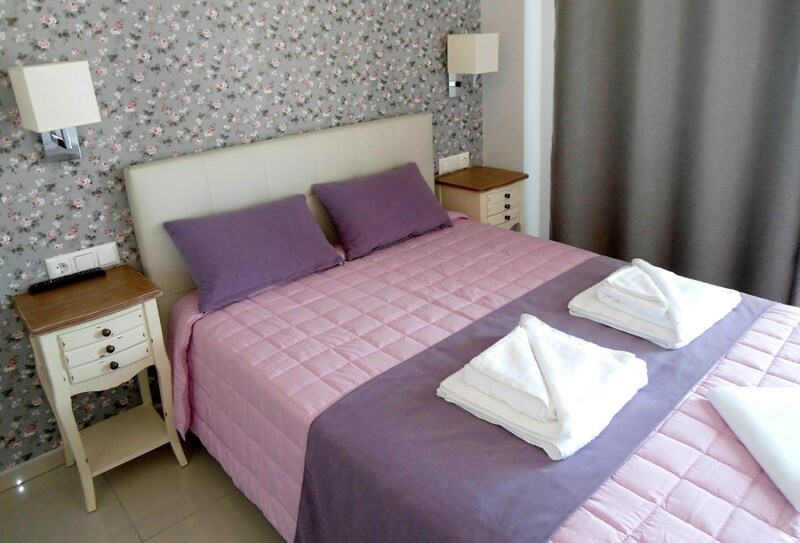 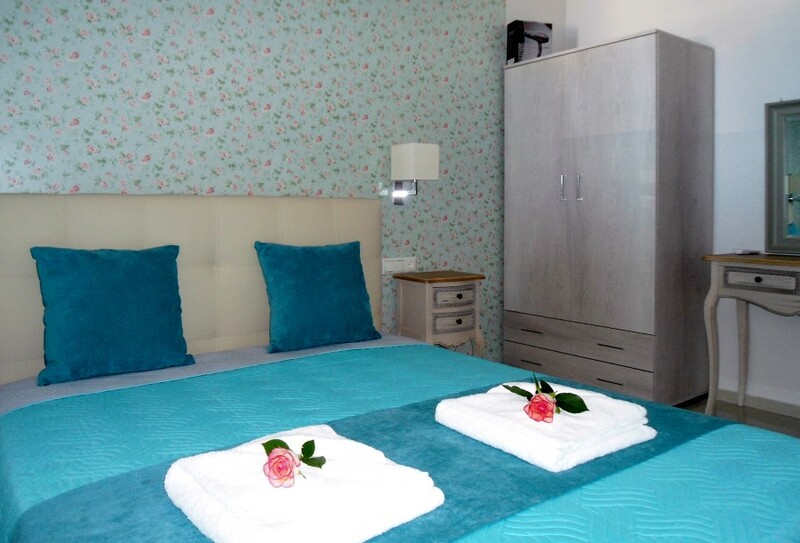 The Triple Room with Sea View is 35 m² and has 1 large double bed and 1 single bed. 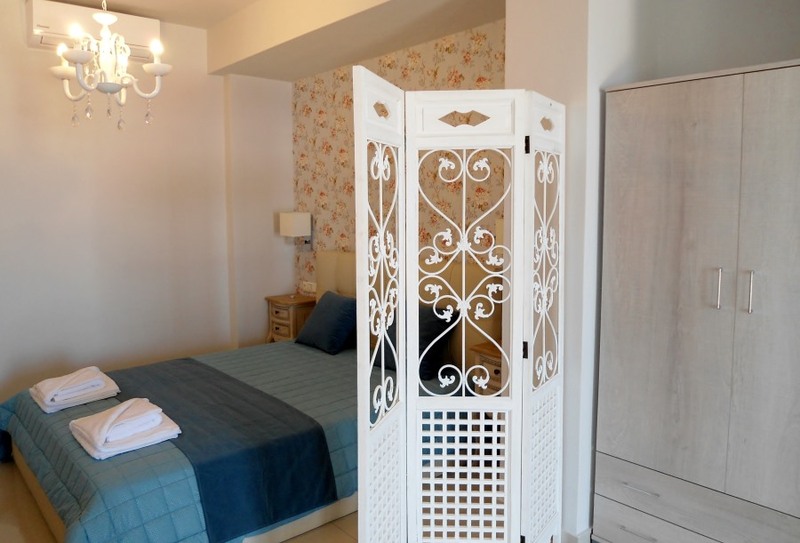 15 minute walk to the centre of Paleochora where there are shops, cafes, restaurants.